WAUKEGAN, Ill. -- Police responded to an armed robbery at a store in north suburban Waukegan Monday morning. 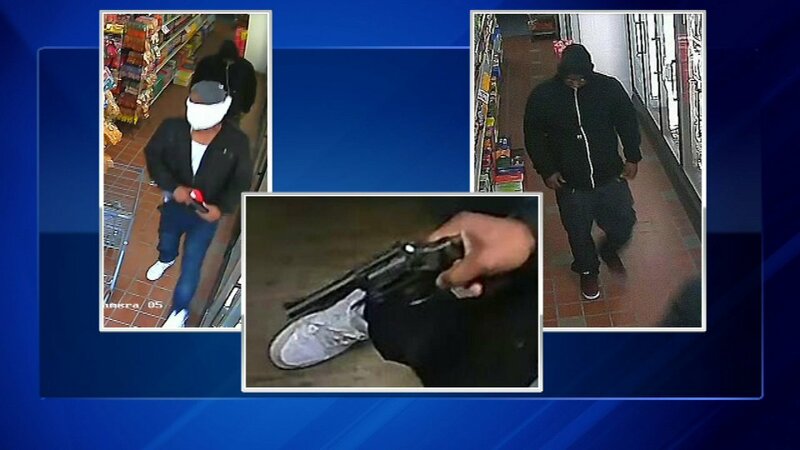 About 11:20 a.m., officers responded to the North Avenue Mart at 946 North Ave. after two males entered the mart and robbed the clerk and a person shopping inside, according to a statement from the Waukegan Police Department. It was not immediately known how much cash and what personal items were taken from the register and shopper, police said. The suspects then fled in a white pickup truck or SUV. Both suspects were black males, police said. One described as stocky, the other as thin and both wearing masks. At least one of the males was armed with a gun. Anyone with information can call the Waukegan Police Department's Tip Line at (847) 360-9001. Callers can remain anonymous.